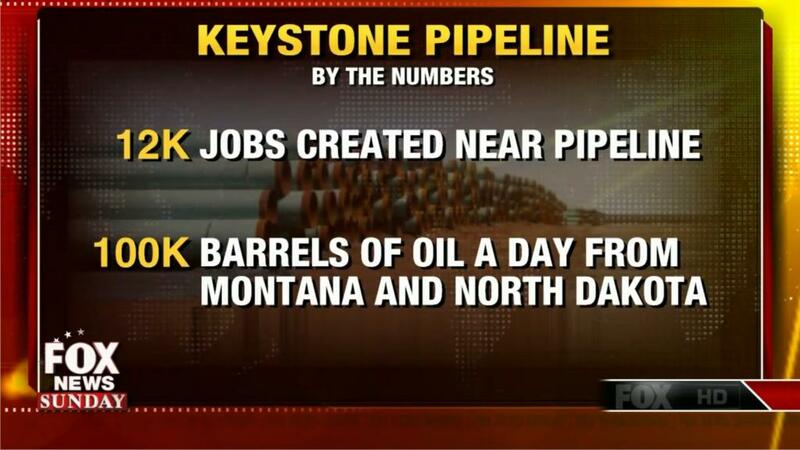 Mugsy's Rap Sheet » Keystone XL: Not Just a Potential Environmental Disaster But An Economic One Too. Did you know about 1/2 of the Keystone XL Pipeline has ALREADY BEEN BUILT? The KXL project is a 1,200 mile long pipeline extending from Hardisty, Alberta to refineries in Houston, Texas near The Houston Ship Channel. The southern legs of the pipeline, one branch from Steele City, KS to the pipeline hub of Cushing, Okla., and the other to two refineries near Springfield, Ill, were constructed between 2011 and earlier this year. in The state of Kansas… which just reelected Governor Sam Brownback despite a record of extraordinary economic malpractice thanks to massive unpaid-for tax cuts strapping the state with a whopping $279 Million dollar budget deficit… gave the Canadian oil company “TransCanada” a $15 Million dollar ANNUAL tax cut (ibid first link) to entice them into building the pipeline through their state. That’s like bribing a highway construction crew already knocking on your front door to reroute the freeway through your living room. The tax revenue lost to Brownback’s idiotic tax cut was NOT recovered in tax revenue from new employment. Worse, when that pipeline starts leaking… and it will… the state of Kansas can TRY to get TransCanada to pay for the cleanup, but the imposed fine (if there’s even one at all) won’t cover the actual cost of cleanup or damages. It never does. Who picks up that tab? But “health” and “cleanup” costs are just two of the half-dozen or so economic pitfalls from allowing this pipeline to continue. I already noted the loss of tax revenue in Kansas. Consider that land and the immediate area around it a dead zone for the next 100 years as people decide they don’t want to live near a pipeline (noisy, smelly, dangerous). And the list goes on. Businesses near the pipeline will soon be forced to relocate as the local population moves away. That translates to fewer jobs and less tax revenue. At the destinations of these pipelines, not only will residents/businesses flee the pipeline itself, but the massive lakes of toxic waste (called: “tailing ponds”) will chase away new residents better than being told their house was the site of a brutal murder/suicide. CEO of TransCanada, Bill Girling, concedes that the costly pipeline may create only FIFTY permanent jobs in the US and perhaps only 50,000 “temporary” and “indirect” jobs along the construction route over TWO years. Seriously? These are the “jobs, jobs, jobs” Republicans have been promising? We’re risking certain environmental disaster to produce less than half as many jobs as the U.S. economy needs EACH MONTH just to keep up with population growth, over the span of TWO YEARS? Tell me we’re not being ruled by people THAT dumb! UPDATE: Doing the math, best case scenario of 51,000 temp jobs (9,000 + 42,000) spread out over two years has the same impact as adding just 490 jobs a week for the next two years, or roughly a 0.45% increase in monthly job growth. So I respond back, “Government doesn’t create jobs? That’s demonstrably false. The government creates jobs ALL THE TIME.” May I just point out that this mental midget was arguing with me OVER THE INTERNET… which was a government project and now responsible for hundreds of millions of jobs. Before that, we are STILL reaping the benefits of President Eisenhower’s “Interstate Highway Project” today. And the next time you drive over an eighty year old bridge built under FDR’s WPA (Work Projects Administration), ask yourself how much each of these things has contributed to Commerce in this country? Remember that “failed” government program that lost millions on “Solyndra“… a GOP punchline for the past six years that Republicans pointed to as an example of “money wasted trying to promote green jobs”? Well, it’s slated to turn a $5 to 6 BILLION dollar profit next year as the majority of companies backed by the program more than out-performed the losses. Some “reluctant” supporters of constructing the pipeline (and many Republicans, like Sen. John Thune, trying to straddle the fence on Fox “news” Sunday yesterday) like to say, “Construction of the pipeline is inevitable. They are going to sell that oil whether we build the pipeline or not, so we might as well just build it.” Few arguments in favor of the pipeline anger me more than this one. It’s the, “we’re all going to die someday so why not just put a bullet in our brains now?” argument. Former Talk Radio host Ed Schultz made this asinine argument on his radio show last year creating a firestorm. People like myself quickly set him straight and eventually he recanted, but the damage had been done and his show was off the air a few months later. No. Construction of the pipeline is NOT “inevitable”. Turning tarsand into “oil” is an extremely expensive process, and it is only cost effective with oil between $65-$75/barrel (add this to the mess with ISIS and it’s just one more way the Bush Administration royally screwed this country.) Get the price of oil below $70/barrel and it is no longer cost effective to try to turn that sludge into “oil”. Last week, the price of oil fell below $75/barrel for the first time since 2006. The price of oil the week before the invasion of Iraq? $32/barrel. I heard numerous Conservative Commentators yesterday repeat the “common sense” logic that “increasing the supply of oil” (by tapping the Tarsands reserves) will bring down the price of oil. I’ve already detailed in my “Truth About the KXL” report how there isn’t enough oil in the Alberta tarsands (even when added to our our own Bakken shale reserves) to “glut the market”, and that even if there were, OPEC would simply cut production to drive the price back up. So any idea that the tarsands oil will mean lower gas prices is based on nonsense. For FAR less money… with the side benefits of creating FAR more PERMANENT high-tech green jobs and without the double costs of environmental and economic disaster… we can REDUCE our dependence on oil… the ONLY thing that would actually have an impact on oil prices. I pointed out a couple of years ago that roughly 8% of our electricity is generated by oil-powered turbines. Replace them with windfarms and you DRAMATICALLY reduce the amount of oil this country consumes each year (FAR more than “8 percent”), which in turn would bring oil prices down… quickly. OPEC can’t simply drive prices up by cutting production of a product for which there is already less of a demand. They’ll just drive away customers. There is no economic future in continuing our dependence on fossil fuels. Green jobs pay better and have an actual future, but our government is about to be dominated by people desperate to protect the Blacksmithing Industry from the invention of the Automobile. Senate Democrats are suddenly willing to hold a vote on Keystone because they think helping Louisiana Senator Mary Landrieu agree with her opponent on the pipeline will save her job (bang head on wall repeatedly). Have they learned NOTHING from the beating they took just one week ago? Conceding your opponents position doesn’t win you elections. I can think of no better/safer time to kick Landrieu to the curb as a warning to other Democrats. Keeping this notorious DINO in office doesn’t change the balance of power. She’s about to vote with the Republicans (again) in opposition to President Obama (again), so tell me again why I should waste ONE DIME trying to save her seat in Washington? Keystone is a White Elephant for Democrats. Add to that the economic costs of cleanup and the decimation of local economies from “blight flight” (you like that? I just made it up) and Republican “tax cuts” to attract something any sane group would pay to keep away, and you have a project that is SO bad on SO many levels, it’s almost inconceivable that anyone is taking this idea seriously. I agree with you …and …I think you meant 490 jobs/week…which is still pathetic, especially when you consider they’re only temporary jobs…and the likelihood that lots of other jobs will be lost as people flee the vicinity of the pipeline as you describe. Oops, yes, that’s “per week”. I thought I had corrected that when I wrote the column but must have forgot. Thank you.